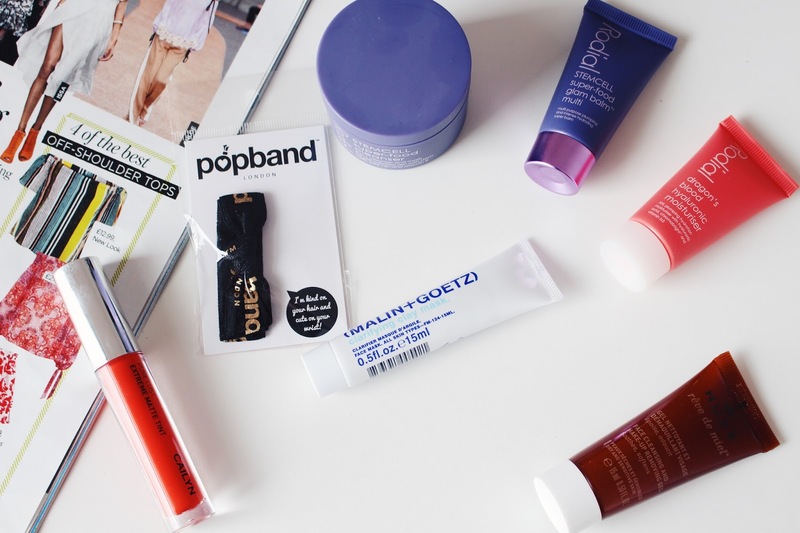 It's time for a run down of what I got in my March and April Love Me Beauty Boxes! 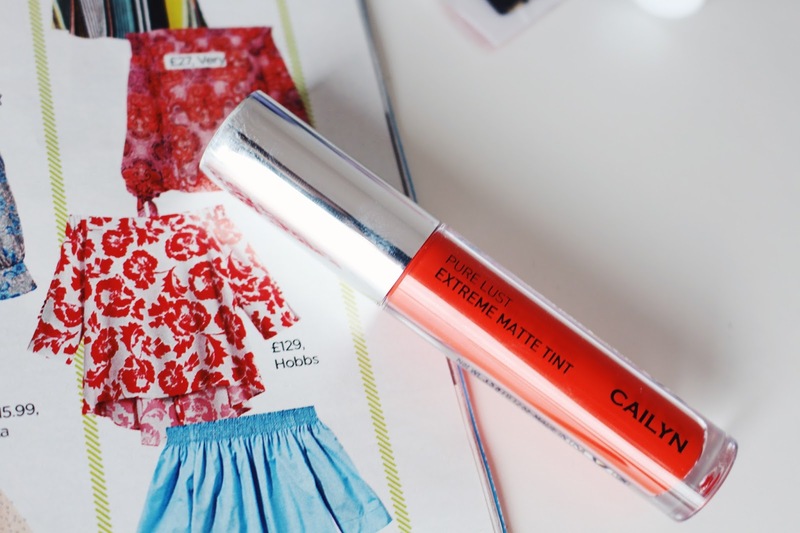 Cailyn Pure Lust Extreme Matte Tint - 'High Voltage Colour' & 'Perfectly Matte', I am absoloutley in love with this product! If you've seen me wearing a red lip recently, then this is what it's been. This product has given 'matte' a whole new meaning to me. I usually hate matte products but this, this is just something else! The feel on the lips is not at all drying but yet still super matte and manages to stay smooth and not flake. It has such amazing colour too! It's super bright and long lasting (although I do find that I need to reapply after eating) - love love love! Rodial Dragon's Blood Hyaluronic Moisturiser - As someone who's taking medication for Acne at the moment, I know how it feels to have horrifically dry skin. 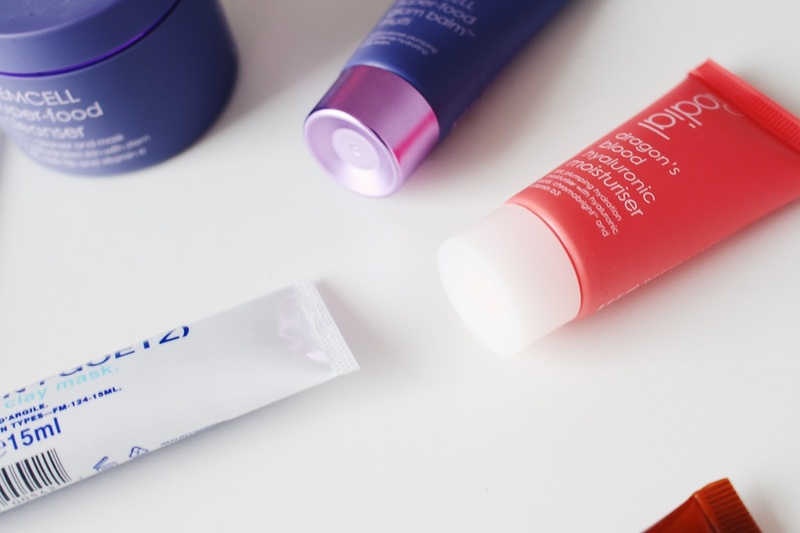 This little handy moisturiser is perfect for applying to dry patches and plumping the skin! Plus, oh my god, it smells divine! Yum! 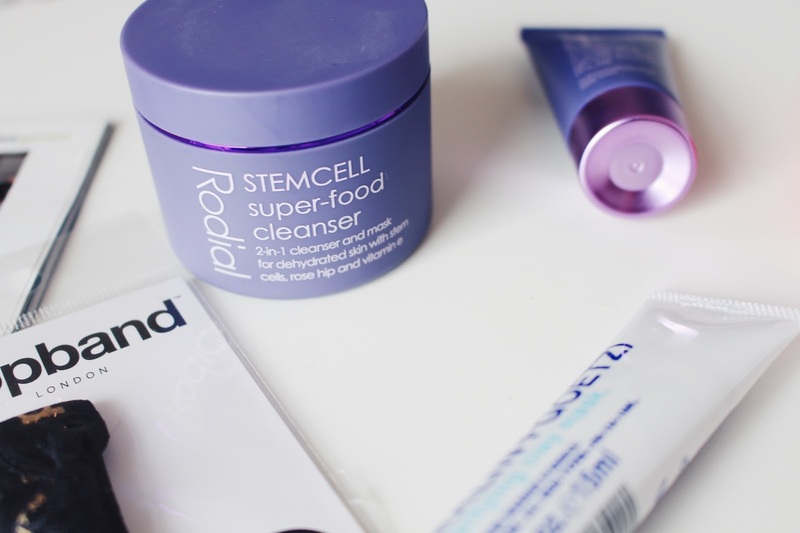 Rodial STEMCELL Super-food Glam Balm Multi - Once again, this is perfect for helping me out with dry patches, as well as just being a fab thing to use during a pamper sesh. It can be used as a day/night moisturiser, plumping mask or eye balm. It's velvety soft and can be used pretty much anywhere that needs a bit of moisture. I love using it on my dry hands (my hands look like they've been living in the desert for 2 years lol ew.) or my lips! Rodial STEMCELL Super-food Cleanser - I've only used this once, simply because it's not the kind of thing that I'm that into using, however that by no means means that it's no good. This can be used both as a cleanser or a mask, depending on how you apply it. Apply a thick layer, leave for 15 mins and then rinse to use it as a mask or simply massage onto dry skin, rinse muslin cloth in warm water and wipe it away to use as a cleanser day and night. Nuxe Face Cleansing And Make-Up Removing Gel - This is a great way to remove all that grimy make up from your face! All you need to do is work it into a lather on the face and then rise away! It's lovely and soothing on the skin and is said to soften the skin over time! Perfecto! 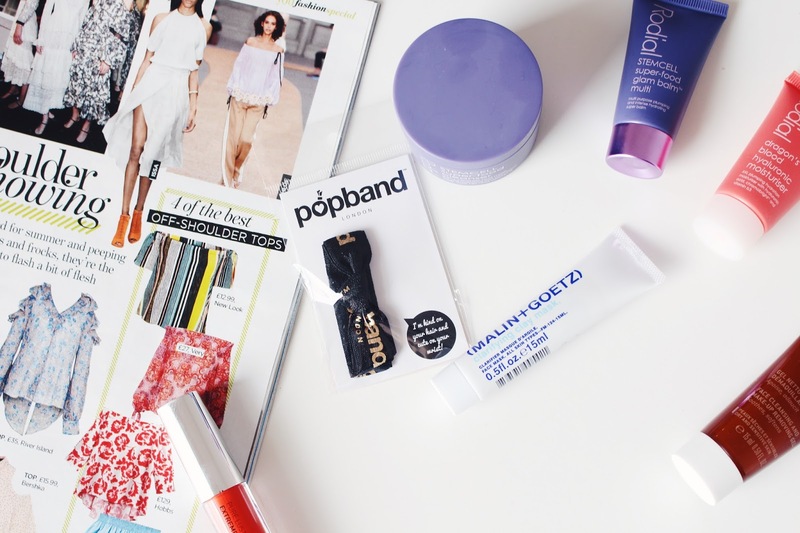 Popband - I've wanted to test one of these out for soooo long! This is a hair tie that's 'soft, stretchy and leaves no dents in your hair'. It works perfectly, eek! 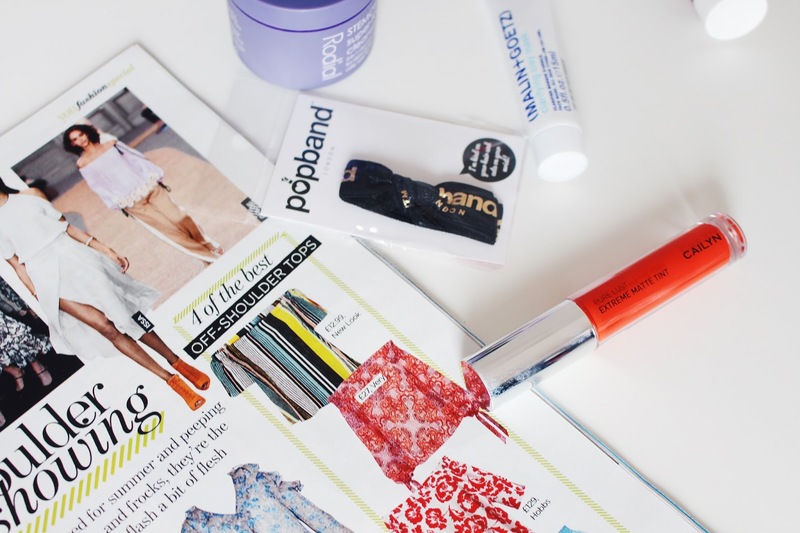 It ties as tight as any other hair tie but manages to keep your hair kink-free! Amazing! Tangle Teezer Blow-styling Full Paddle Hair Brush - That's right, in this months box we got ourselves some Tangle Teezer! Eeeek! I absoloutley love Tangle Teezer but have never tried one of their paddle brushes before. This one is said to give a salon professional finish with quick dry technology, leaving you with volume and shine and eliminating frizz! Sounds good to me! 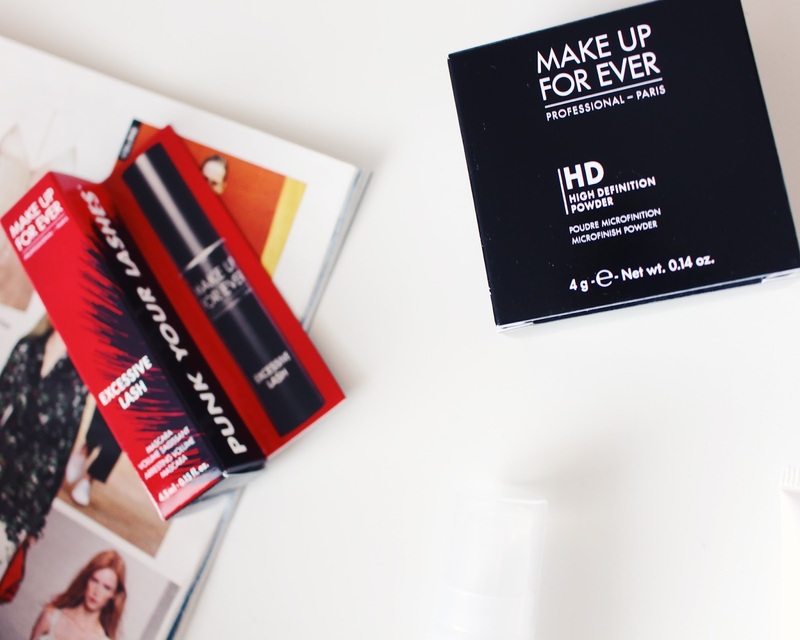 Make Up For Ever HD High Definition Powder - If Tangle Teezer wasn't enough then we're also treated to Make Up Forever! This little powder contains spherical micro-particles which give the skin a perfect, glowing, natural complexion on all skin types. It's colourless meaning it can be used on every skin tone to finish off your look and is best used when shooting HD images - perfect for bloggers and models! Make Up For Ever Excessive Lash Mascara - This couldn't have dropped on my door step at a better time, since I literally just finished my Benefit They're Real and need something ASAP! This little mascara has a no-smudge formula and is said to create long lasting volume that has an eye-opening effect! LOVE! Caudalie Vinoperfect Radiance Serum Complexion Correcting - I've heard good things about this! 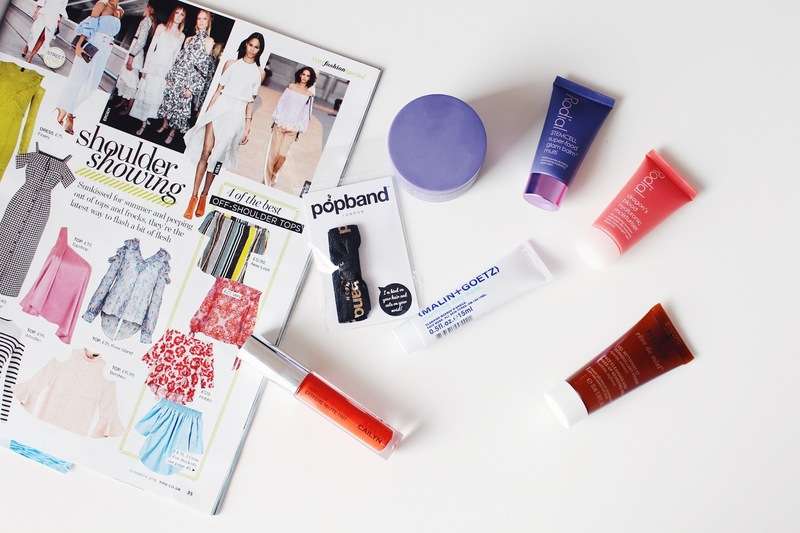 Apparently it's fab for evening out your skin tone and leaves you looking lovely and radiant! What's not to love? Caudalie Make Up Removing Cleansing Oil (Grape Seed and Sweet Almond) - Another Caudalie item! Now, you might know that I'm not really into this kind of thing but it's had pretty darn good reviews.. It removes your make up incredibly well and leave your skin nice and soft - so an all round thumbs up! 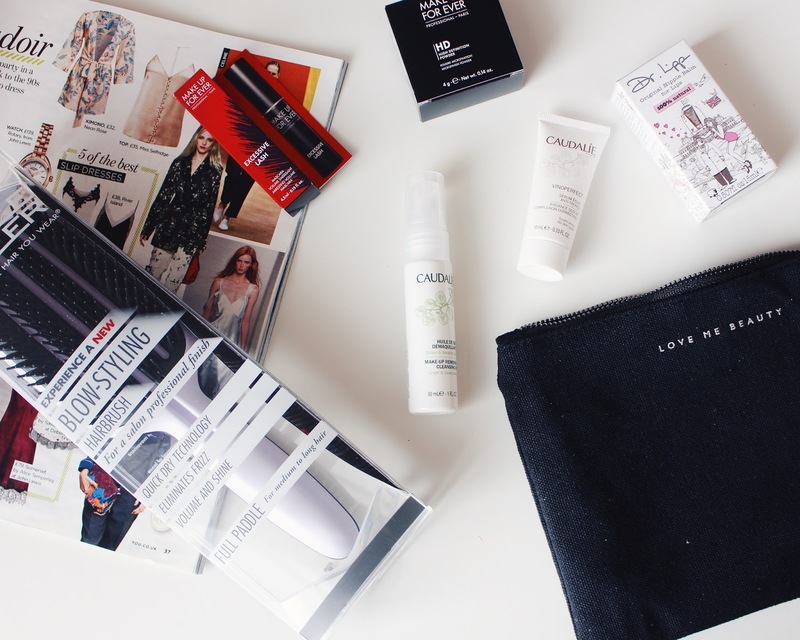 Remember that you can get 20% off your Love Me Beauty box with my code 'hol20'!